When you’re a stomach sleeper, it is vital that the mattress you choose is supportive however not stiff. There is a substantial difference between the two. You’re looking to keep your body afloat on the mattress, getting ample support around the pressure points to ease off the weight and distribute evenly, all the while keeping the spine aligned. Too soft a mattress and you run the risk of developing lower back pain. Too firm a mattress will cause neck and chest pains. So how do you choose the best mattress for stomach sleepers? Let’s find out! Stomach sleepers need a combination of soft and firm with mid-level comfort which allows support along the spine while providing a smooth surface to sleep on. Bottom line is shoppers need to look for medium firmness sleeping surfaces to help with back alignment. Below is a review list of some of the best mattresses for stomach sleepers. Each has a different build but all suit people that need that extra support all night long. DreamCloud: 15″ Hybrid featuring both foam and coils with eight different layers. Bottom Line: This is a luxury hybrid mattress and an excellent option for heavier individuals (250+ pounds) with no sinkage and a lot of support. The DreamCloud mattress is a blend of luxury comfort and support constructed in eight layers. It features a layer of high-density memory foam. Sitting on top the dense memory foam is a layer of foam encased pocketed micro-coils which gives it the extra stability for weight distribution. On top of the coils you have another layer of dense memory foam. The next layer is the DreamPlush Support memory foam. Next is a layer of latex foam, followed by a super soft quilted memory foam, which is then followed by a layer of gel-infused memory foam. Also, the mattress features encased coils which give it the extra stability for weight distribution. This beast of a hybrid mattress works for all sleeping positions. The DreamCloud mattress has a firmness level of 6.5 on a scale of 1-10 with 10 being the most firm. This medium support level provides a stable surface for the needed support while giving you a soft bounce all through the night. The firmness level is the result of the 8-layer system which utilizes a series of high-density foam and encased coils and given its support, we think the DreamCloud works best for back and stomach sleepers. The design is pretty unique – the result is a balanced mattress from top to bottom and on both sides. The top soft cover is highly breathable which allows removal of excess heat and moisture. You, therefore, sleep cool and dry all night. The other thing is that the material combination allows a puffy top and a solid base for support and comfort. The hybrid build of the DreamCloud and high-density foams all point to the fact that this mattress should last at least 7-8 years. There is lifetime warranty that comes with it. Returns are accepted within the US at zero costs. After a successful return, Dream Cloud refunds the full amount in a few days. If you need a lifetime fix to back pains and restless nights, you should scoop the great value of the DreamCloud mattress. 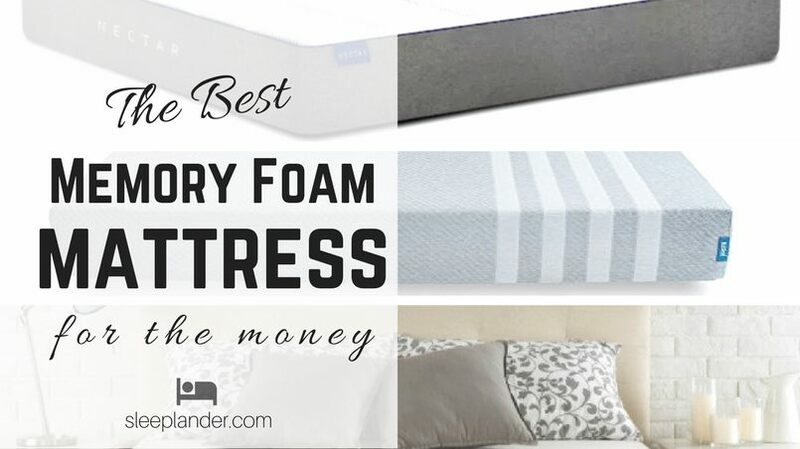 We think it’s one of the best values out there in the premium, luxury mattress category. It is worth every penny you spend on it with a guarantee that you will not have to pay any more in the future; either for repairs or replacements. Bottom Line: This is one of the best value mattresses with moderate firmness and body conforming properties with a below-average price-point. This is a budget foam mattress and a really nice bed for stomach and back sleepers and particularly suitable for petite and medium sized folk. The 10-inch T & N mattress is made up of only two layers: thick memory foam and their proprietary Adaptive foam. The quality of this mattress is amazing. It’s easy to set up and comfortable to sleep on. The main consensus among many of the online reviews is that with the Tuft mattress folk sleep more comfortably and don’t wake up as often. 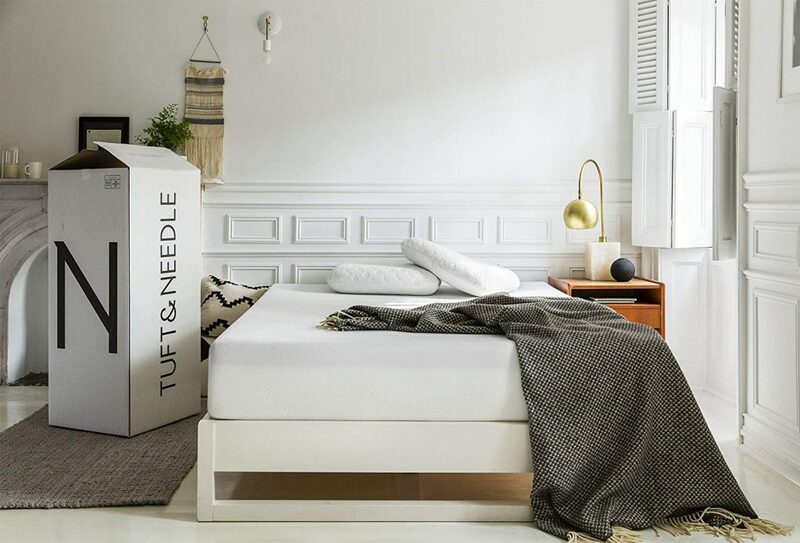 There is ample support from the Tuft Mattress for stomach sleepers. It rates 6/10 on the firmness scale, which is a medium-firm but very supportive. It’s firm in the sense that you’re not sinking but not firm that you feel you’re sleeping on a hard surface. The firmness is just right for stomach and back sleepers. For couples, the T & N mattress does exceptionally well regarding motion isolation meaning that if you and/or your sleep partner awaken easily due to movement or noise, the T&N mattress absorbs and reduces motion transfer to a significant extent. As we’ve already mentioned, this is a mattress suitable for petite and medium sized folk, so if you’re over 250 lbs have a look at the DreamCloud or the Loom & Leaf mattress. 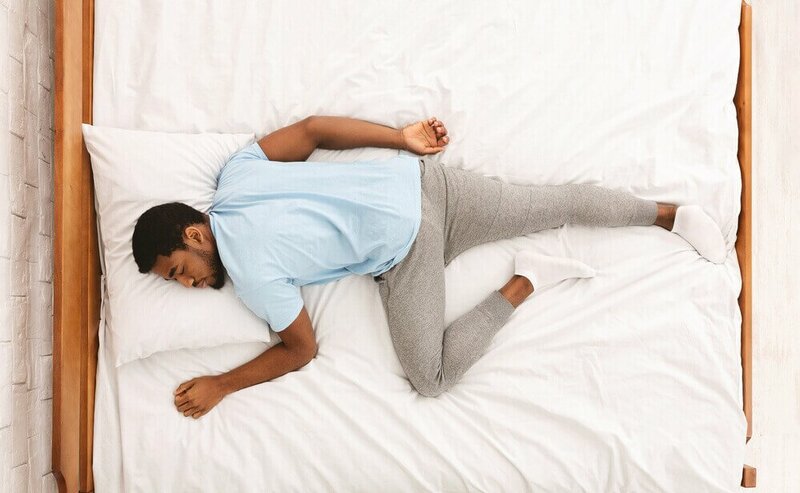 The T&N mattress is comfortable and accommodating and its unique blend of memory foam and adaptive foam evenly distributes your body weight no matter where you’re sleeping on the mattress. Every part of your body is cradled when you’re sleeping on the Tuft mattress. The T&N is one of the more affordable mattresses on our list. Prices range from $350 for a twin to $750 for a king size mattress. 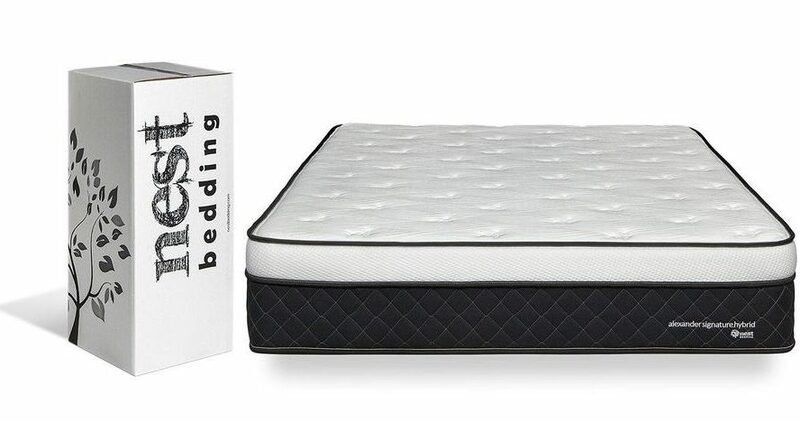 If you’re on a tight budget, the T&N bed is a great option for stomach sleepers and one of the best mattresses sold on Amazon. It comes with a 10-year warranty and a 100-night risk free trial. 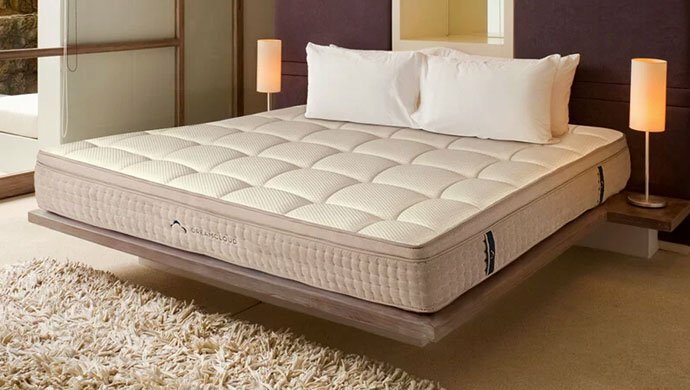 L & L is a 12″ luxury premium 5 lb memory mattress foam featuring: high-density memory foam, convoluted memory foam, cooling gel top layer and a base layer of high-density polyfoam. Bottom Line: The L&L is an all-foam bed that is priced slightly higher than our other choices but if you love the feel of dense memory foam, you’ll really like this bed. The Loom and Leaf is a blend of quality and luxury. It has a dual layer of breathable foam at the base which gives it life. Also, the premium eco-friendly 5lb foam at the top adds on to the quality with an assurance of quality. The cooling spinal gel and the top organic cotton covering all contribute to comfort and the quality of sleep. For those that sleep on their stomach, that extra firmness offered is much needed. The L&L offers two firmness levels – Relaxed Firm and Firm. The Relaxed Firm is best for folks under 200 lb. It works best for stomach/back sleepers to support and distribute the weight evenly ensuring an uninterrupted sleep all through the night. The L&L Firm model provides the best support for heavier individuals. In terms of sagging, the L&L mattress seems to be resistant so you won’t feel like you’re sinking into the bed while sleeping. The mattress conform closely to a sleeper’s body to align the spine, target pressure points and ease off the pressure from your back, neck, and shoulders. In terms of temperature regulation the cooling gel foam layer should help folk sleep cooler at night, however some customers still experienced sleeping hot. The motion transfer on the Loom & Leaf is also exceptional. Loom & Leaf has a 15-year warranty. If your mattress develops a defect during the first two years, Loom & Leaf replaces it with a brand new one. 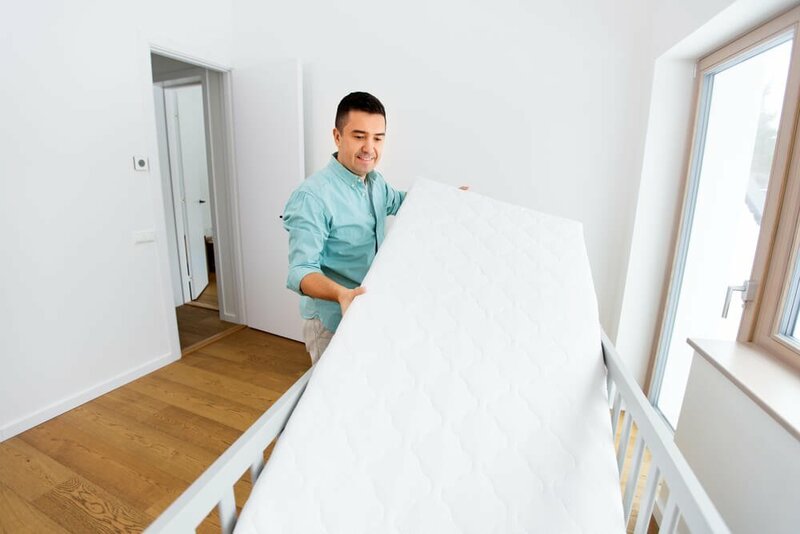 After the period, they will repair and recover your mattress at the cost of $99 each way and no additional costs are incurred. In terms of durability, the L&L mattress are designed to last up to seven years which is on par with other memory foam beds. As a stomach or back sleeper, getting the L&L mattress by Saatva, you have the assurance that your investment is worth the price. You get to enjoy amazing benefits for a long time without worrying about investing in more mattresses in the future. The Love & Sleep Mattress® is a 10″ memory foam bed featuring 3 layers. Bottom Line: There is a lot to like about this bed, if you’re on a tight budget and a stomach/back sleeper, the Luxury-Firm Love & Sleep mattress is a great option. Nest’s Love & Sleep Mattress® boasts a detailed construction design which utilizes multiple layers of quality materials. The bed comes with 6 inches of base support foam which gives the bed the right firmness. Also, it has a one-inch layer that allows airflow and a top 3 inches cooling comfort layer. The last and topmost layer is the phase change cooling cover to keep you comfortable all through. The Sleep & Love mattress has two firmness levels you can choose from: Medium-Firm and a Luxury-Firm. While both are very supportive, the Luxury firm mattress rates at 8 out 10 and is the firmest you could get around. If you like lying flat on your tummy, then this would be most favorable. Plus if you’re particularly heavy or have back problems that require an extra firm mattress, the Luxury Firm is your best bet. The Love & Sleep mattress is made to last a long time with minimal maintenance. The materials are of high-quality and withstand weight and pressure even after using for a long time. With this mattresses, you won’t have to worry about getting another one, especially if you love firm ones. The mattress has a feel like that of a spring mattress. This one does not have encased coils but has the bounce you need for support. The top cooling layer keeps you fresh throughout the night, and you do not have to toss and turn to find a comfortable area. Also, the mattress has extra-firm features which allow stomach sleepers to lie on a stable surface all night without developing pain around the pressure points. 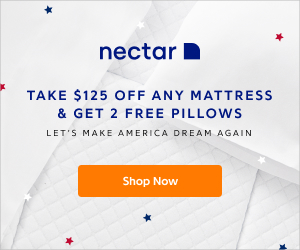 All in all, Nests’s Love and Sleep provides everything you need from a mattress at a reasonable price, comes with free shipping, free returns, 100 night risk free trial & lifetime warrant. It’s made in the USA with premium quality foams, offers excellent comfort and great lumbar support – at a very reasonable price. Ultra hybrid plush mattress: gel memory foam and 680 individual power packed wrapped coils. Bottom Line: If you’re on a budget, this is the lowest priced mattress for stomach sleepers, is a firm-plush and offers great lumbar support. The 12” Chime Express Hybrid Mattress from Ashley Furniture Signature Design is designed to offer you incredible lumbar support and lasting comfort. It is because the materials used are of premium quality and designed to suit the various needs. It is essentially a super thick firm support foam layer on top of a firm spring base which is great if you sleep on your stomach or your back. The Chine Express mattress has a firm plush level of stability. It means it’s great for stomach/back sleepers. This hybrid mattress is a mix of innerspring and memory foam. There are zero chances of sinking or sagging which is an added advantage. The Ultra plush mattress is designed with ¼ “ high-density gel memory foam for great lumbar support and ensures proper removal of excess heat and moisture which can cause restlessness while you sleep. The mattress is also built to ease off the weight especially for stomach and back sleeper. The 1.5” high-density super soft quilt foam provides the solid base, and the 360 individual power packed wrapped coils and two perimeter rows of nine-inch 13-gauge pocketed coils offers good edge-to-edge support and maximum support. 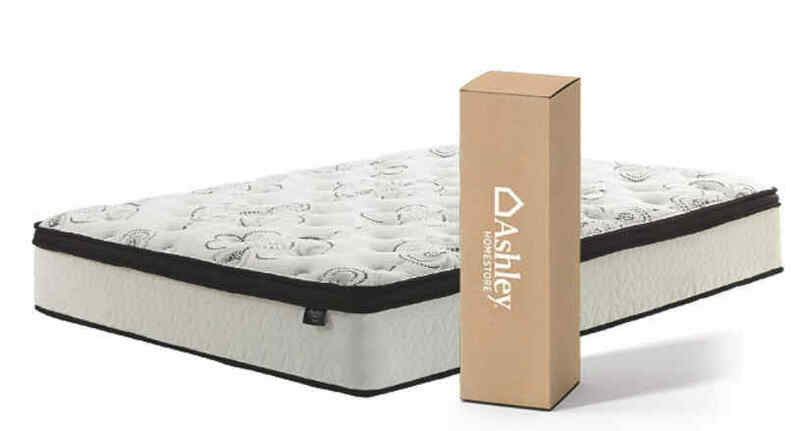 Compared to other mattresses with the same qualities and benefits, the 12″ Ashley Sleep® Chime Hybrid happens to be one of the best in value and lowest priced mattress for stomach sleepers on our list. You only need to invest once and enjoy a lifetime of great support, comfort, and luxury. The price is unbeatable. Well, choosing the right mattress for sleeping on your stomach can be a challenge especially if you cannot define the firmness levels. But, we picked these top choices for you with the hope that you will find the best for a comfortable night sleep. When you’re a stomach sleeper, it is vital that the mattress you choose is supportive however not stiff. There is a substantial difference between the two.